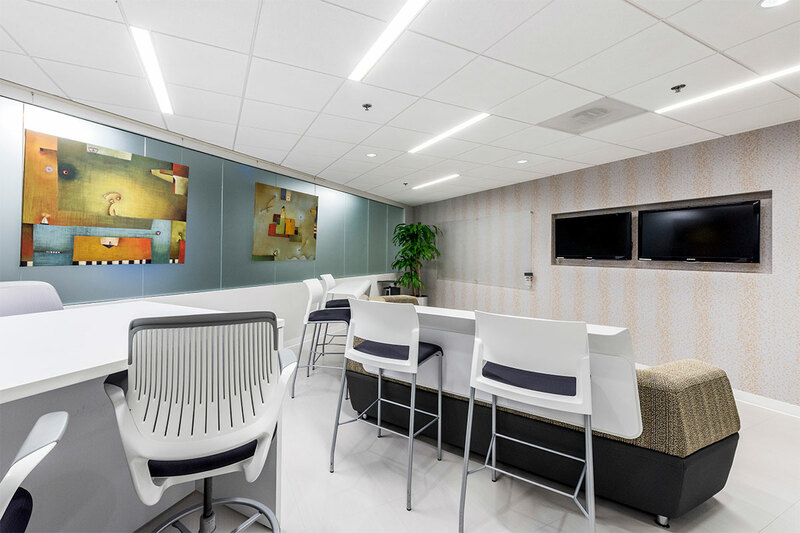 The Chevy Chase Pavilion, located at 5335 Wisconsin Ave. NW at the corner of Wisconsin and Western Avenues, provides the ultimate business environment by offering fully-serviced office space solutions in one of DC’s high-end commercial neighborhoods. 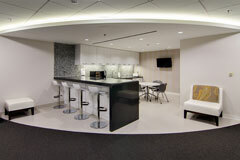 With interior access to the Friendship Heights Station on Metro’s Red Line, the Chevy Chase Pavilion connects you to Downtown DC and the surrounding areas in a matter of minutes. This locational also offers a spacious underground parking garage open 24/7, bike storage, taxis, and Metro buses – making it extremely easy to access no matter how you travel. 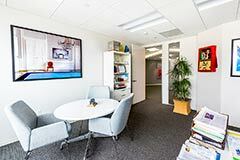 Our flexible offices come fully-furnished according to your specifications. 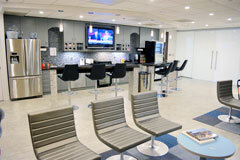 We offer configurations for individuals and teams, and have a variety of furniture to choose from. 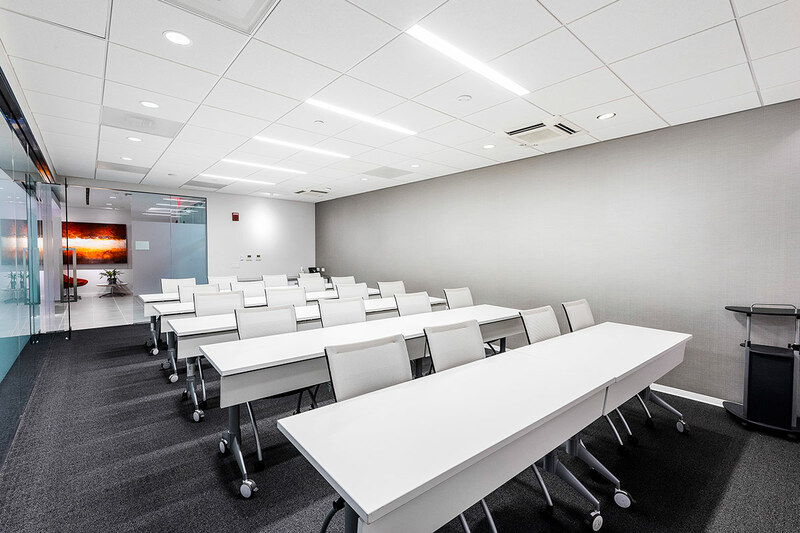 Each of our conference rooms includes state-of-the-art technology and equipment to ensure that your next business meeting, presentation, or seminar is a success! Give your business an overhaul and instantly impress your visitors with our sophisticated, professional, and modern office space located exclusively in Class-A buildings. 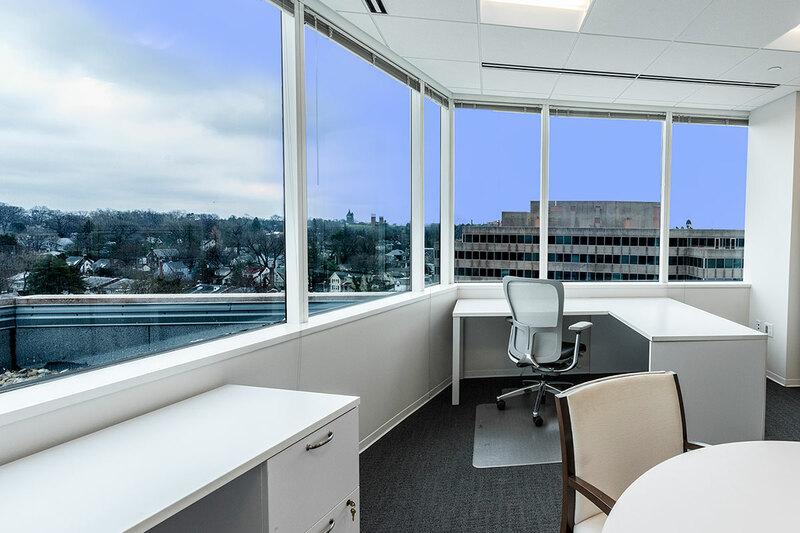 Our Chevy Chase DC office space (located in the Chevy Chase Pavilion) features a gorgeous 11-story sky-lit atrium, and is home to the 9-story office tower our office suites are housed in. The Pavilion contains an Embassy Suites Hotel and three floors of shops and restaurants. 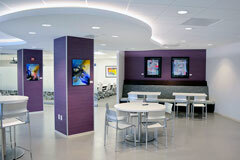 The building is Energy Star rated and LEED Certified, and fit out with top-of-the-line, energy-efficient fixtures. The unique design of our three expansive office suites (across the 4th, 6th, and 9th floors of the Office Tower) overlook either Wisconsin Avenue, the surrounding residential area, or the building atrium for those offices built along the inside perimeter of the circular design the Pavilion is known for. 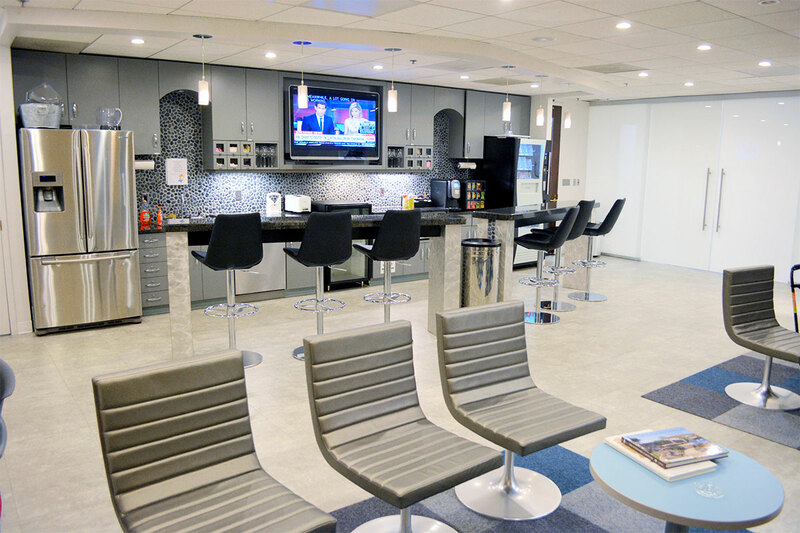 With high-end restaurants such as Maggiano's and The Cheesecake Factory, as well as access to the Embassy Suites hotel, the Chevy Chase Pavilion is the perfect location for accommodating out-of-town guests. 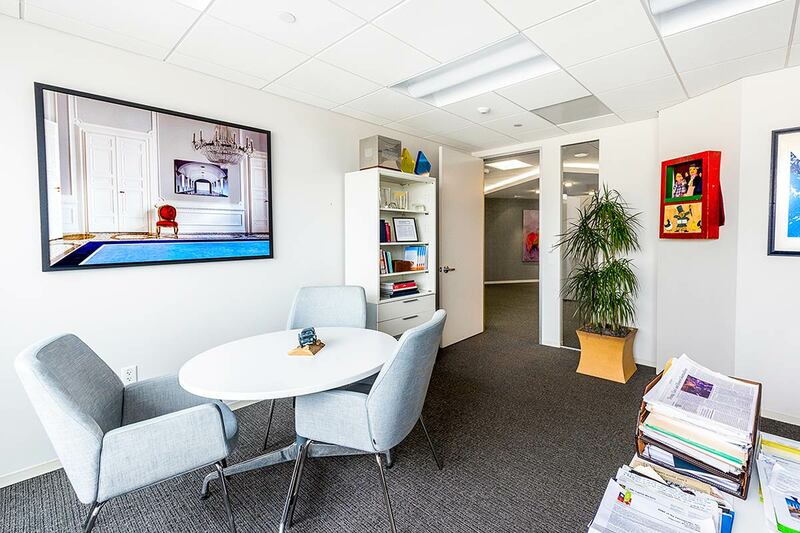 A charming DC neighborhood filled with couture shopping and global cuisine, Chevy Chase, DC is a professional hub nestled between quiet, tree-lined neighborhoods. 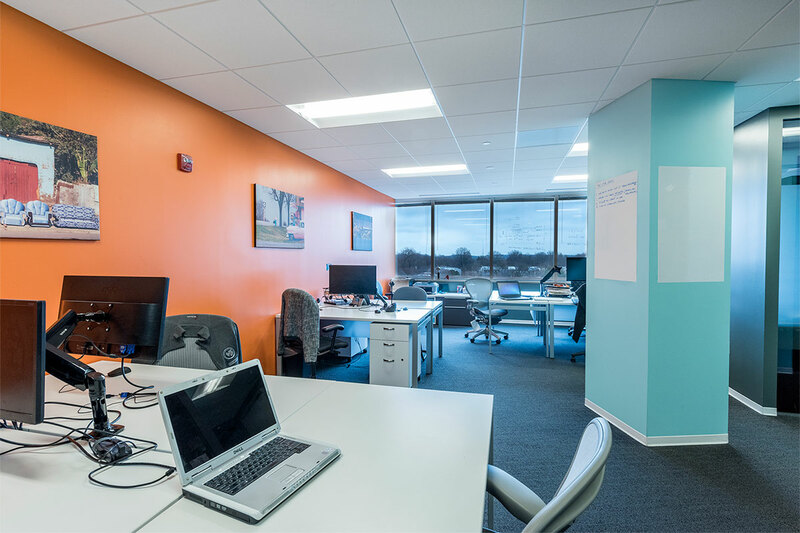 With the Capitol Beltway, MD-270, and I-95 in close proximity, this location provides you with a office space in Washington DC without the hassle of a commute into the heart of the city.